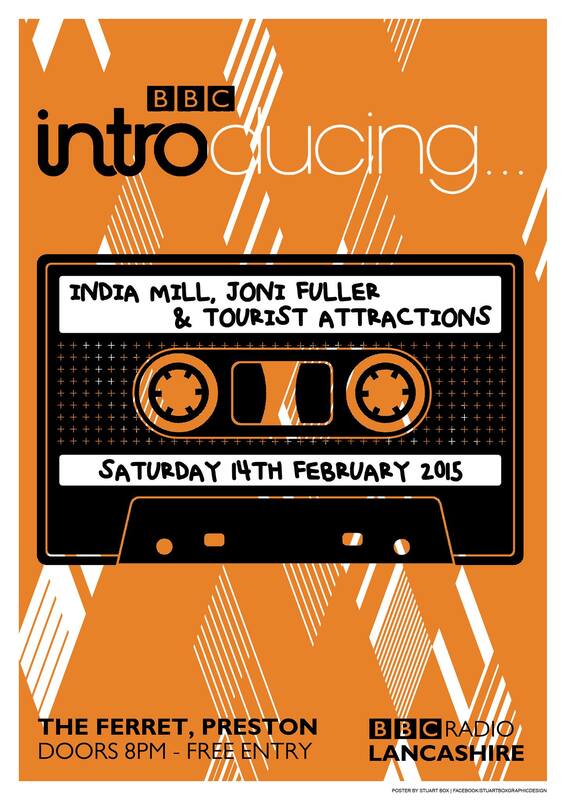 Our next Second Saturday gig on 14th February 2015 we er… introduce… Joni Fuller, Tourist Attractions and India Mill. On that Twitter thing I use the hashtag #supportlocalmusic because if we don’t we won’t nurture it a little we won’t have any local live music left. The Ferret through Stuart Box, whose work and commitment to the cause is well known, is one of only a few venues across Lancashire that are left that let new bands and artists try out their music live. The other thing that helps new artists is having a “scene.” A place or places where people, that like new music can go to meet up with other musos, form bands and occasionally marry. Watching the brilliant Dave Grohl docos on the BBC iPlayer made me realise how important it is. In every City he went to on his musical journey he documented a ‘scene.’ Often based around a venue or venues with night clubs and radio playing their parts. I love the BBC. I work for it. But sometimes you have to be an honest friend/lowly employee. The BBC spends (see post about this) a great deal of money on the BIG self aggrandising music events. The BIG bosses love BBC Introducing because it is great for the BBC. So please Mr BBC Music boss person… how about putting some money into local music scenes? I’m sure someone said somewhere you were going to. There are so many benefits which I’ll come back to in other posts.